Tonja Green has served as Director of the Master of Science overseeing the Medical Product Development Management program since 2008. She successfully developed the operational side of the program and is responsible for all aspects of the program including: administration, program admissions, student advisement, faculty and guest speaker recruitment, industry collaborations, curriculum development and the facilitation of the core series of courses. Ms. Green has a breadth of clinical research experience spanning therapeutic areas of cardiology, peripheral/neurovascular (stents, catheters, etc), oncology, endocrinology, rheumatology, gastroenterology, neurology, hematology, psychiatry, infectious disease, and immunology. Ms. Green has also held multiple hands-on clinical research positions in medical device, diagnostics, biologic, and pharmaceutical companies, including Syntex Pharmaceuticals, Protein Design Labs, Aryx Therapeutics, Arete Therapeutics, and Therasense (now Abbott Diabetes Care). Ms. Green gained early career experience within the hospital clinical setting including Stanford University Medical Center and is an alumna of SJSU. She currently serves as a clinical consultant and advisor to biopharmaceutical, device, and diagnostic companies. Dr. Crothers was instrumental in directing the College of Science at San Jose State University towards the establishment of new degree programs to prepare students for employment in areas of emerging biomedical technologies and their commercial development. He led the effort of developing the Master of Science in Medical Product Development and the Clinical Research Management degree program. Dr. Crothers also collaborated with the City of San Jose Redevelopment Agency and the San Jose State University Foundation in the establishment of a Biotechnology Incubator and Innovation Center. He served as a "CEO mentor" at the Innovation Center. Dr. Stephan Crothers, Ph.D., MBA holds a doctorate in Medical Science and Biochemistry from Boston University School of Medicine and a Master of Business Administration from the University of Southern California. 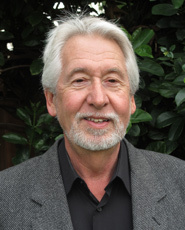 Prior to joining SJSU College of a Science in 2002, Dr. Crothers had pursued a 25-year career in the pharmaceutical, medical diagnostics, and life science research products industries. In addition to leadership roles he held at SmithKline Pharmaceuticals, Syntex's medical diagnostics company SYVA, and Molecular Devices (analytical instrumentation), he was a co-founder of two startup companies, PanAb Laboratories and TransMed Biotech. Dr. Crothers is best known in his role of private consultant in the management of product research and early stage development where his expertise is in the strategic focusing of R&D resources. Abbott Vascular is a division of Abbott Laboratories, one of the world's largest health care companies. The company, which ranks No. 96 on the FORTUNE 500, has more then 68,000 employees worldwide with customers in more then 130 countries. Abbott is headquartered in north suburban Chicago. Dr. Fink joined Abbott in November of 2005 as the Divisional VP, Clinical Affairs, and assumed his current role in 2007. Prior to joining Abbott, Stan was with Guidant's Vascular Intervention Division for 8 years as Director of Clinical Research. Prior to Guidant, Stan was with Biomedical Sensors, Pfizer Hospital Products Group, where he held the positions of Director, Clinical Research and Development, Program Manager, R&D and Director, R&D. Stan also spent three years at NASA conducting research in cardiovascular physiology as applied to manned space flight. Stan earned a bachelor's degree from the City University of New York and a master's degree from the University of California, Berkeley in Chemical Engineering. He also holds a Ph.D. in the Mechanical Engineering, Bio-Engineering Program from the University of California, Berkeley. Drug Safety & Risk Management, VP Global Sales of Quintiles, Inc.
Ms. Poppenheimer's 20 years of drug-development experience is comprehensive, including nonclinical, clinical, and commercial. She has 10 years of experience managing entire drug development programs in the pharmaceutical and biotechnology industries. Her 8 years sales experience spans all research phases, therapeutic areas, and service lines (preclinical, clinical, & post marketing) and includes personnel management, site management, and product-specific proposal development management (Ph V Global Proposals). She also has two years' experience working as a research coordinator in a private medical practice administering clinical trials. Mary has a B.A. in Biology from SUNY Binghamton and is a member of the Board of Directors, Cardinal Newman High School. Dr. Stephan Crothers, Ph.D., MBA holds a doctorate in Medical Science and Biochemistry from Boston University School of Medicine and a Master of Business Administration from the University of Southern California. 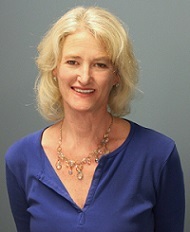 Prior to joining the San Jose State University's College of Science in 2002, Dr. Crothers pursued a 25-year career in the pharmaceutical, medical diagnostics, and life science research products industries, most recently as vice president of product development at Entelos, an "in silico R&D" company. Executive Vice President Development BiPar Sciences, Inc.